Organising your finances in Portugal is a crucial part of buying a property there. It’s a big decision and there’s a huge amount to think about, especially if you’re planning to move to Portugal permanently. Whether you’re moving to Portugal full-time or buying a holiday home, there are many things you must consider. For example, you need to know how much you can afford to spend on your property and how you are going to finance the purchase. 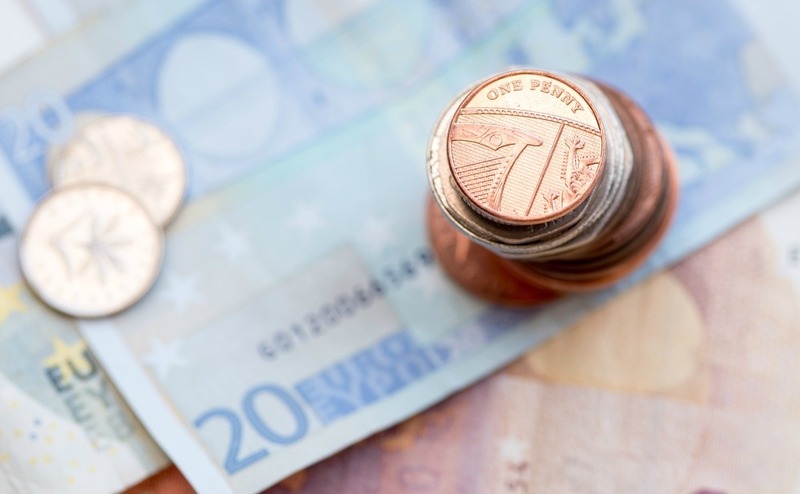 In addition, a vital part of organising your finances in Portugal is understanding the impact currency fluctuations might have on your purchase. Finally, you must budget for how much you will need to spend on top of the actual property price. Whether you are using your own savings, or re-mortgaging your UK property, there are a number of ways you can finance your new property in Portugal. You may well be considering a variety of ways to finance your property purchase abroad. However, before you make any decisions it’s a good idea to decide on a firm budget. Furthermore, it’s important to remember that this budget must take into account more than just the purchase price. There are a number of other costs that will also arise (such as legal fees, taxes, maintenance etc.) Often there are more individual costs than you might initially realise. Don’t press ahead without taking this into account, because you don’t want to run out of money before you’ve completed your purchase. It’s always a good idea to speak to a trusted Independent Financial Advisor. While Portuguese nationals can often source a mortgage of up to 85% of a property purchase price, overseas buyers can usually obtain a loan-to-value of between 60% and 80%. This means you’re likely to need a deposit in the region of 30% – or perhaps more. You can’t get around this by moving to Portugal and renting for a while. You need full Portuguese citizenship for a higher loan-to-value, not just residency. 30-year mortgage terms are common, although longer terms of up to 50 years are possible from some lenders. Generally, you must pay off your mortgage by the age of 70 or 80. Another option is to obtain a mortgage from a UK lender. This may give you the option of using an existing property as security instead of using up cash you have available. One benefit of doing this is that your mortgage will be in Pounds Sterling, making your repayments certain rather than subject to fluctuation. If you’re fortunate enough to have enough cash to buy a Portuguese property outright, you have lots of options for organising your finances in Portugal. While it may seem to make sense just to make a cash purchase, it’s worth seeking advice. With interests rates low at the time of writing, you could be better off taking out a mortgage anyway if you can make your money work harder for you in other ways. As mentioned above, you need to ensure that your total budget includes a substantial surplus. This is to cover the buying costs that you will need also need to pay. These include estate agent’s commission, legal fees, property taxes and much more. A good general rule is to assume you will need to spend another 10% on top of the purchase price. Being aware of this can make the difference between making a successful purchase and falling in love with a property you cannot realistically afford. Your Portugal Buying Guide explains each buying cost in further detail to help you through this process. Download your guide today. Considering the best way to transfer your funds will have an enormous impact on your purchasing power. As mentioned, setting an accurate budget to buy a home in Portugal is an essential part of any successful purchase. And that’s no different from buying somewhere in the UK! However, there is one key difference that overseas buyers must consider: This is the added risk that comes with having to exchange Pounds for Euros before transferring them to Portugal. This requirement – often overlooked by buyers – has the potential to impact the true cost of your dream home. At the Portugal Property Guide, we recommend using the services of a currency specialist, such as our trusted partner Smart Currency Exchange, to make your overseas transfers. At the Portugal Property Guide, we recommend using the services of a currency specialist, such as our trusted partner Smart Currency Exchange, to make your overseas transfers. Their team of dedicated traders will take the time to understand your requirements and timeframes. This enables them to help you maximise your budget and improve your finances in Portugal. They can offer solutions that minimise your risk exposure when sending your euros to Portugal. Find out how Smart Currency Exchange could protect your budget by downloading their free guide. It’s incredibly important to assess any tax implications of your residential status and ensure you are paying tax correctly. After all, you don’t want to end up paying tax in both Portugal and the UK! Similarly, failing to pay in either region could result in heavy fines. You will need to ensure you are aware about all the HMRC regulations that may affect you. Additionally, other areas such as inheritance tax could have an impact on your plans. Speaking to an expert will ensure you understand exactly what you need to do, and help you ensure you don’t forget anything. Speak to a trusted IFA today. Your finances in Portugal will continue to be very important throughout the property purchase process, when you first move there, and beyond. There is a lot to think about, from drawing your pension to maintaining your lifestyle in Portugal. You will want to make sure you know exactly how much money you need to pay your mortgage and all of your other bills and regular payments. It makes sense to do some detailed research into the cost of living in Portugal and how it compares to the UK. There are some exceptions, but the good news is that you will find many things remain significantly cheaper! Get the best foreign exchange rates with Smart Currency Exchange. You can save up to 4% compared to your bank! Whether you are buying a property abroad, making regular payments, sending money overseas or back in to the UK, you want the most cost-effective, safe and easy way to transfer your money. That’s where Smart Currency Exchange can help. As the one of the UK’s fastest-growing currency exchange specialists, we save our clients thousands of pounds every day by offering the best currency exchange rates, along with your own dedicated personal trader.